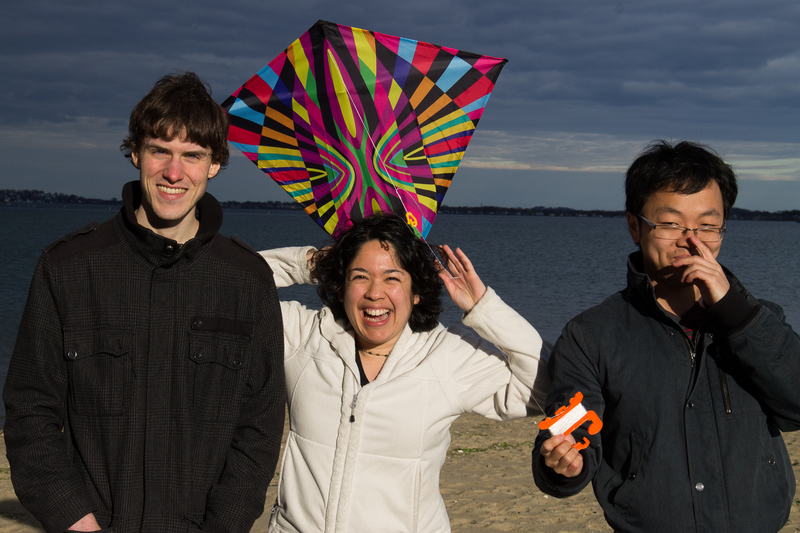 A few Sundays ago, my friends and I walked out to the beach after a deep-fried meal for a little evening kite flying. 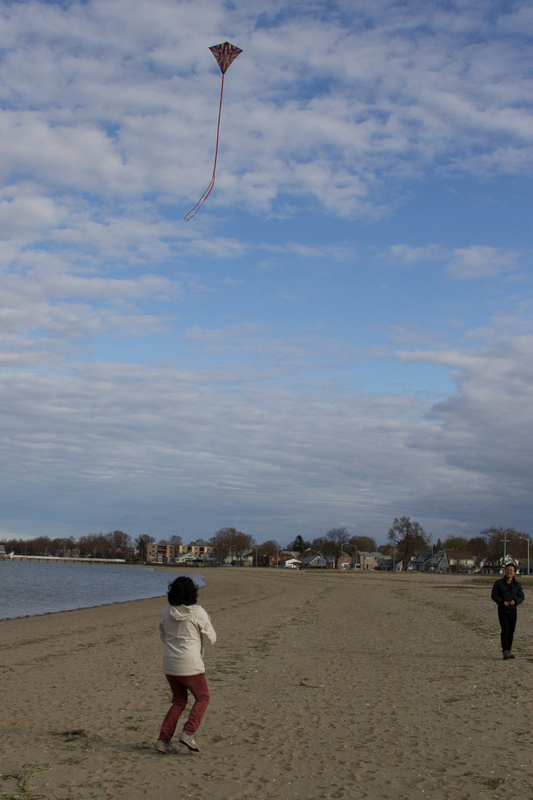 The wind was not great for flying, but we managed to get the kite up and going for the most time. The first successful flight! The kite stopped flying as soon as we stopped moving, of course, but fly it did! 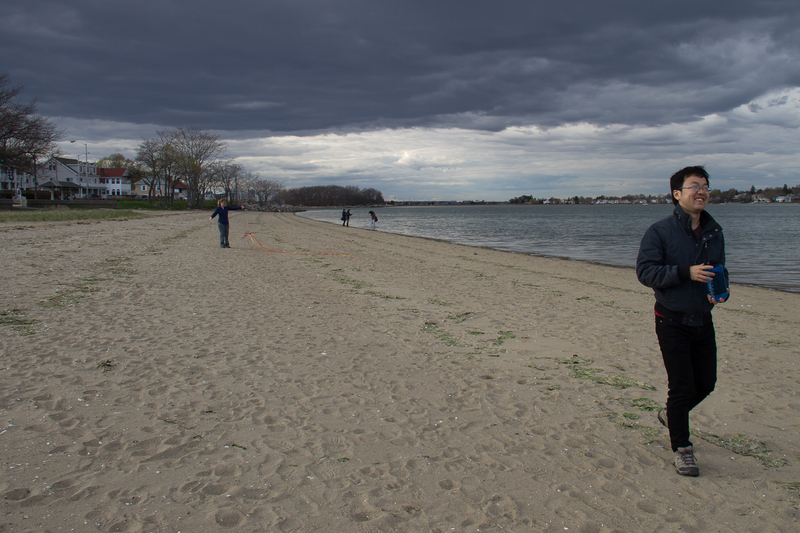 That’s Lupe, flying the kite and then posing with it. 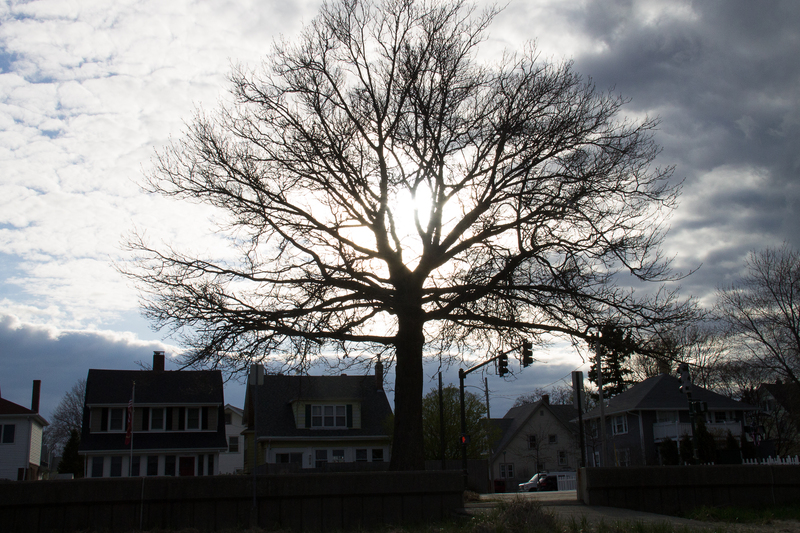 The sky couldn’t decide if it was going to be a clear or cloudy sunset, so the lighting kept changing dramatically. Isn’t she adorable? 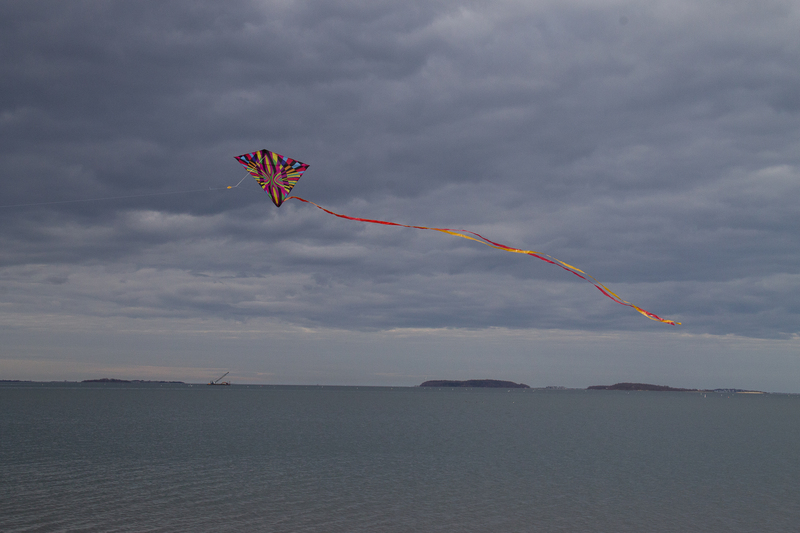 Our kite proudly waving above the ocean. The sunset behind a tree on the edge of the boardwalk. You can see how the sky is half blue and half grey here! 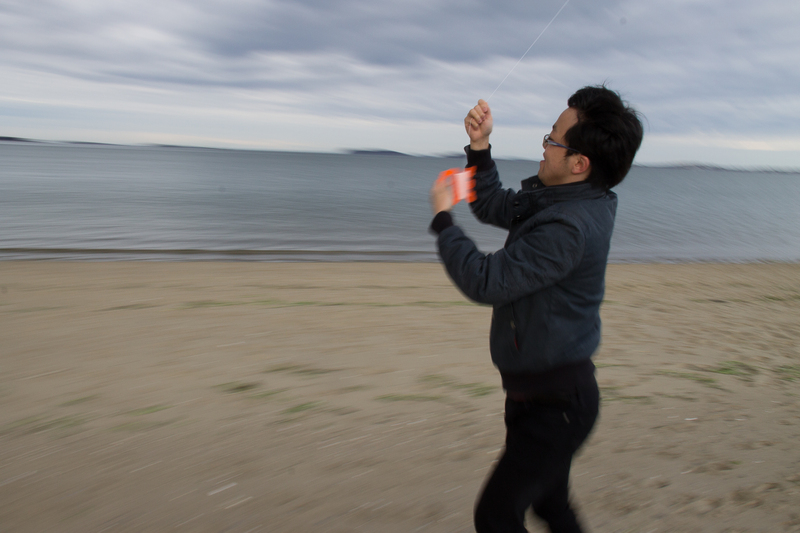 This picture courtesy of Lupe, who took over my camera while I attempted (and failed) to fly the kite. Hans was helping me, but even then I really didn’t have much luck. I love this picture, though! It’s fantastic. 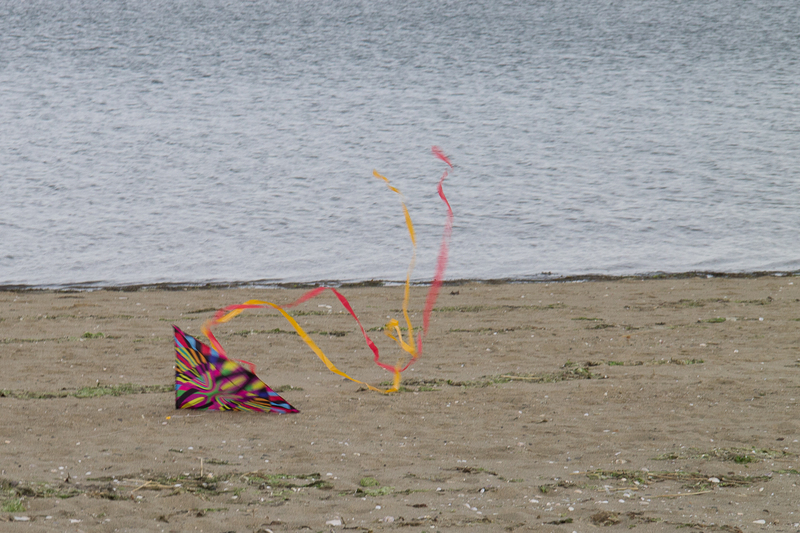 Hans running by to make the kite soar! 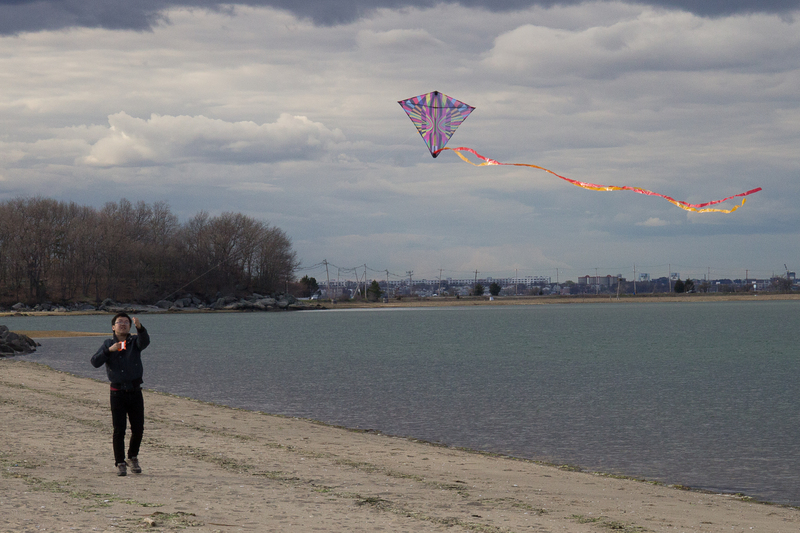 He was determined to get the kite all the way out to the end of the string – and he succeeded! Group shot! Not everyone could be here today, but we managed to have a good time nonetheless. And fin as the kite hits the ground after its last flight of the day! It’s now hanging in our kitchen, waiting for another day.